Hours before Bell officials testified at a CRTC hearing, the company announced that Fibe TV customers will soon no longer have to buy its internet, and admitted that it designed a training document telling employees to downplay its $25 basic TV plan. Hours before Bell Canada testified at a CRTC hearing Wednesday about its $25 basic TV package, the telco announced it will no longer force Fibe TV customers to also subscribe to the company's internet service. Then, during the hearing, Bell admitted for the first time that it had designed a training document for employees that specifically told them not to promote its cheaper, basic TV plan. The Canadian Radio-television and Telecommunications Commission grilled Bell on both topics during its hearing in Gatineau, Que. The event aims to address numerous complaints from dissatisfied customers about the new basic TV packages. The CRTC mandated that television providers offer the pared-down TV plans in March for a maximum of $25. Consumer groups have criticized Bell for demanding that its basic Fibe — or fibre optic — customers in Ontario and Quebec also sign up for its internet service. Critics predicted Bell would come under fire during the hearing for linking the two products. But the day before it testified, the telco announced that its Fibe TV service would be available as a standalone product in early 2017. "If one were to take a bit of a cynical view, it's somewhat surprising that would come out hours before the oral phase of a hearing," said CRTC commissioner Christopher MacDonald to Bell during its testimony. However, Bell executives stressed that the decision was part of an "ongoing process" to streamline its services. Fibe TV requires an internet connection to work, but Fibe customers in Atlantic Canada are not forced to get their internet only from Bell. In May, to justify its linked selling, Bell had made a submission to the CRTC, claiming that Fibe TV customers had to get Bell internet or "key features of our [TV] service would not work." When asked about this submission during the hearing, Robert Malcolmson, Bell's senior vice president of regulatory affairs, asserted it was true. He added that the company would now face major technical challenges untying the two products before the big change early next year. Malcolmson did not address why Fibe TV currently works without Bell's internet in Atlantic Canada. Bell was also in the hot seat at the hearing because of a CBC News story about a training document that surfaced in February of this year. Leaked by a Bell employee, it instructed workers to downplay Bell's basic TV plan, called the Starter package. "Do not promote the Starter TV package. There will be no advertising, and this package should only be discussed if the customer initiates the conversation," stated the document. Many industry insiders had speculated that the major TV providers didn't want to offer the basic plans because they would be less profitable. When CBC News asked Bell about the document in February, it would not acknowledge its existence. However, in Wednesday's hearing, Malcolmson fessed up. "I'd be delighted if I could refute the [CBC News] report, but there was what I would call an unfortunate incident in the early stages of training," he said. He also stressed that the document was only designed for employees in Atlantic Canada, was not reflective of Bell's obligations to promote the basic package, and that it was pulled before it could ever be used to train workers. 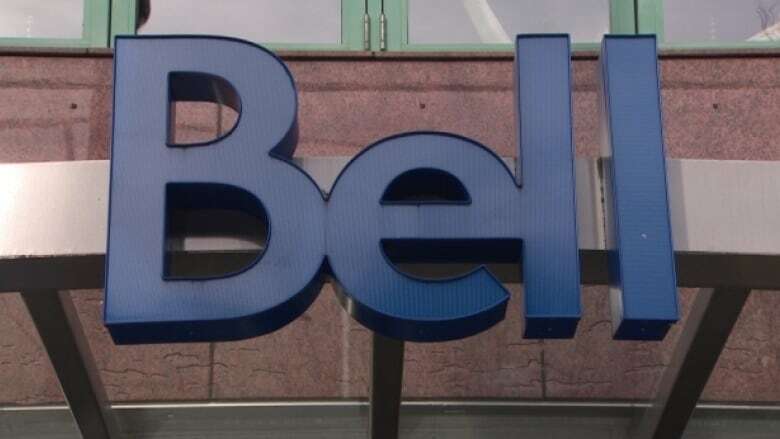 But in February, a Bell employee who had seen the document told CBC News that he clearly got the message that the company didn't want the basic plan promoted. "Bell has no intention of selling this package," he said. "If a customer asks for it, then it'll be available." That's also the message that Bell customer Lowell Geddes says he got when he contacted the company. Geddes says he called customer service twice in May to pare down his TV plan. The North Sydney, N.S., resident says he didn't know about the basic deal at the time and told the service representative he just wanted to watch the news on CBC and CTV. "Surely, if anyone interpreted that, they would see that's the basic package," says Geddes. But he claims no one ever mentioned the basic TV option, and he wound up getting a bigger package he didn't really want. This week, Geddes learned from a CBC News report that Bell does offer a basic plan. "I feel I was not informed," he says about his conversations with Bell in May. "I feel a little bit ripped off, I guess, by not having the information to make a choice as a consumer." Bell stressed at the hearing that it promotes its basic Starter package with the same gusto it promotes all its other TV plans. "We have definitely tried to promote the starter package on our website along with all of our other packages," said Payal Gabrani-Bahl, vice-president of content with Bell TV. Bell wasn't the only telco announcing adjustments to its basic plan as it faced the CRTC hearing. Rogers announced during its testimony that, after hearing from customers, it has decided to allow basic subscribers to combine the plan in a bundle with other services. Previously, consumer groups had criticized the cable company for excluding basic customers from getting a bundled discount. Near the close of the hearing today, CRTC head Jean-Pierre Blais admitted some culpability in the problems that have been raised with the rollout of the basic TV packages. "I was kicking myself in March, saying to myself — the commission itself probably could have done a better job." He added that everyone, including TV providers and consumers, have a role to play in ensuring the new plans are a success. CRTC opens hearings on $25 basic TV packages. Is it just 'lip service'?